Home Shop by Category Shaving Soaps Taylor of Old Bond Street Sandalwood Shaving Wooden Bowl 100gr. 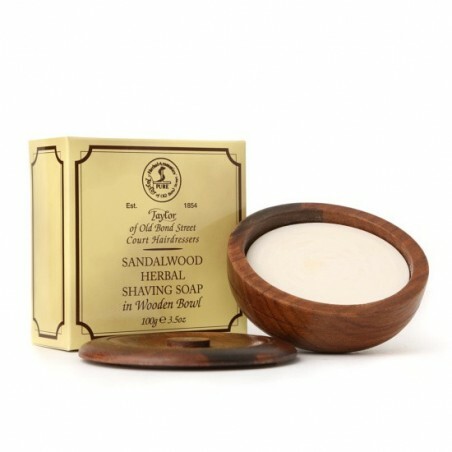 Taylor of Old Bond Street Sandalwood Shaving Wooden Bowl 100gr. Taylor of Old Bond Street Sandalwood shaving wooden bowl. 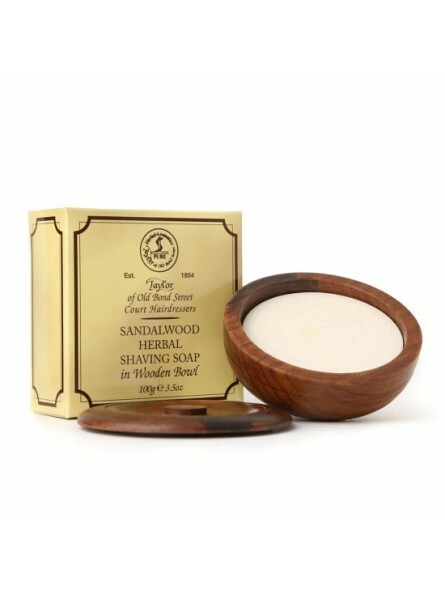 This Taylor of Old Bond Street Sandalwood fragranced hard shaving soap comes in a handcrafted, circular wooden bowl for a smooth and close shave. This soap has been designed to be used with a good quality shaving brush. It is long-lasting and will produce a rich, creamy lather. The hardwood bowl can be refilled with your favourite scented soaps and won't dry out as it comes with a lid. This brand have been creating men's grooming products since 1854.